KGVK, a CSR initiative, is a model created by Usha Martin a steel wire making company which they think provides the best system to help bring rural areas, and more specifically villages out of poverty in India. This is just an initial post to set out a bit about how it works. The idea itself and implementation has won many plaudits with it being recognised and heralded to a certain extent by the Clinton Global Initiative and as a result of their fundamentally good work they now have established collaborative efforts with The World Bank and various arms of the Jharkand (and Indian) government. It works on eight pillars (of which I will go into more depth in other posts regarding some of these) to alleviate poverty. and Resource mobilisation and infrastructure development. 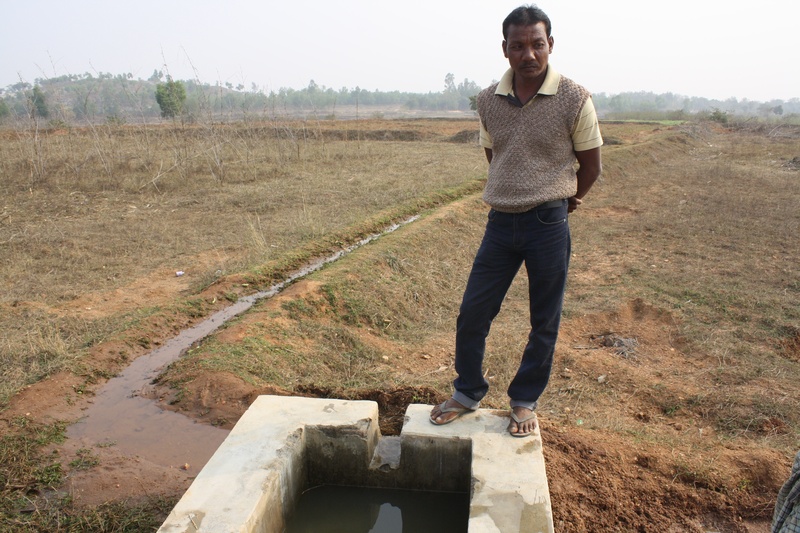 A lot of these areas are interconnected – natural resource management also comes under resource mobilisation – water management is the primary focus as, for rural villagers whose primary income is from farming, access to water is key. It also has effects to healthcare and sanitation. It , I think, is important to note that no part of this scheme is given entirely free – yes it is subsidised, but, KGVK believe that if things are given for free they find people are a lot more sceptical of the products on offer and also it creates an air of dependency (something we see far too much of in the UK with our welfare system). It should also be mentioned that whilst KGVK has an active role in the villages, it takes a back seat in many respects and only really overviews and manages groups. Before leaving KGVK I was told that each company in India has to give 2% of its annual income to CSR, thankfully for Ranchi and on a wider scale Jharkhand (where the owner of Usha Martin was brought up) they are the benefactors of a multi-national billion dollar companies efforts. The holistic plan has been developed entirely in the intial phases by UM, they now have a total of 3 schools with about 500 children in total in them. (for more info on schools click here), they have 2 hospitals which have 2 doctors in each, each day, and a lot of nurses. Not to mention a training school with 2 year courses for women who want to become nurses. They have and support various initiatives to empower the villages with electricity through solar-power (although even in India this is far from a perfect solution) and have various crop management initiatives which they demonstrate the effectiveness of on their ‘demonstration farm’ which is situated on a 55 acre site surrounding their head office and is to show sceptical farmers who’ve often been practicing multi-generation practices. They increase income too through livelihood, creating a faster and in theory more reliable means to sustain families through livestock – hens/ducks/cross-breeding goats, bees and mushrooms are all part and parcel. Water management/irrigation methods and also subtle but direct women empowerment issues are addressed too by women only groups and arts and crafts training which is then put to market by KGVK. In short it’s hard to encompass a project into one post, especially when it’s as diverse and trying to do this much, this post is an introduction to give you a taste of the amount of work they are doing and also what they’re focusing on. Posts on individual aspects of their work will be on their way! Sorry it’s been so long since my last post but the wifi/internet was relatively scarce during the 2 weeks. ← Water in Kolkata #india – how it works.. or doesn’t..